Soak beans in clean water and leave for some few hours to soften or keep overnight in the frigde. 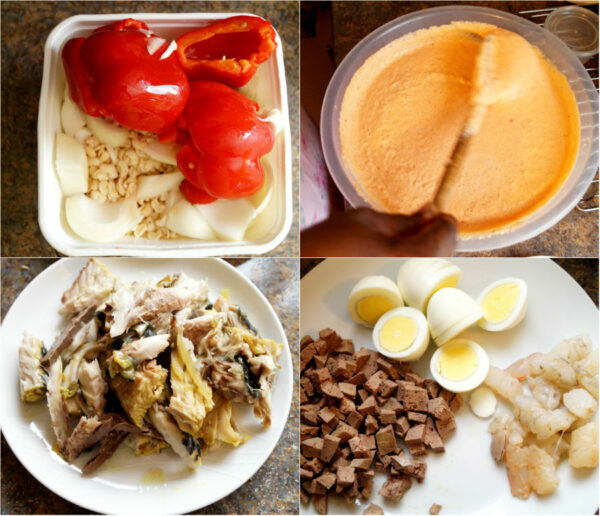 Add beans in bits to a blender, add red bell pepper, ata rodo and onions, enough water to cover and blend till very smooth. Mixture should not be too thick. Add salt, seasoning, ground crayfish, and stock to the pureed beans and mix till well combined. Add melted palm oil and the flaked fish to the beans batter Stir for another minute till well combined. 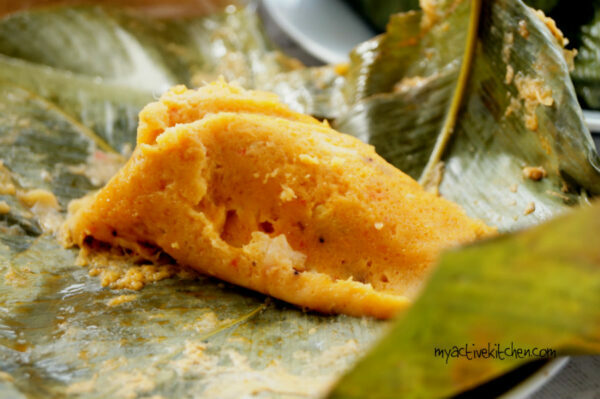 Using a scoop, add beans batter in bits to the folded leaf, add all the rest of the toppings and fold to seal. 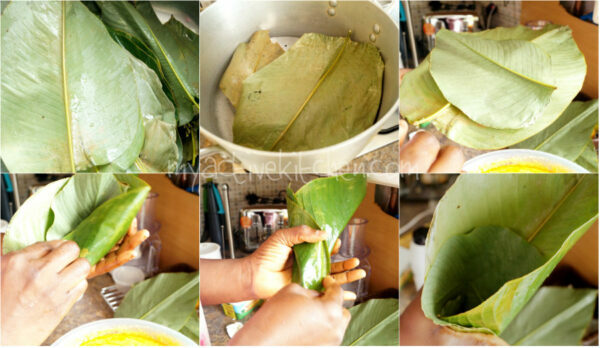 Make sure there is no leakage from the folded leaf. Continue this process till you have exhausted all the batter. 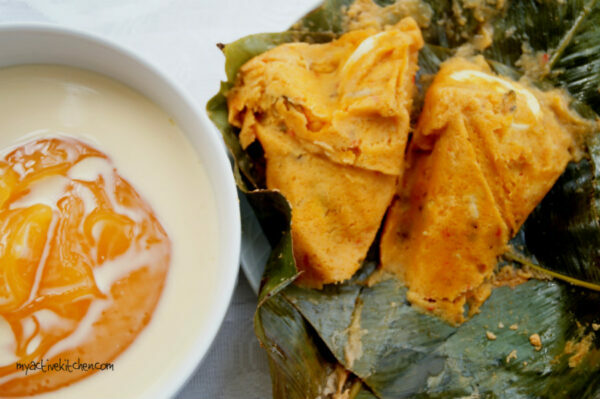 Arrange the folded moi moi into the pan, reduce the heat if it is high, add little more water to the pan if need be and cover tightly. Steam for about 40-50 minutes or till beans is set. (Check the pan from time to time to make sure the water does not dry out. Take it off the heat and allow to cool. 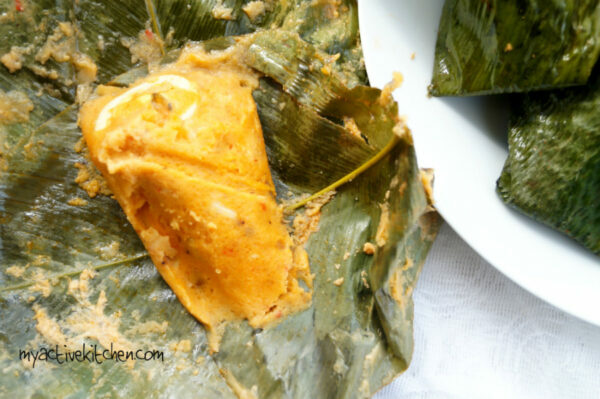 Serve with custard, homemade akamu, eko or fresh Agege bread. 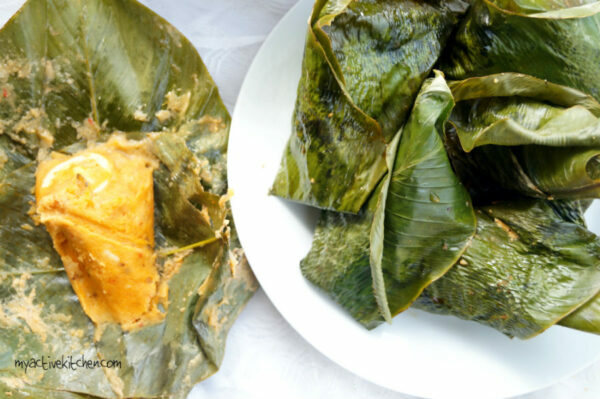 Where do you get your MoiMoi leaves? Hi. My name is Tebania and I live in USA. Where do you live at? I would like to make this recipe. 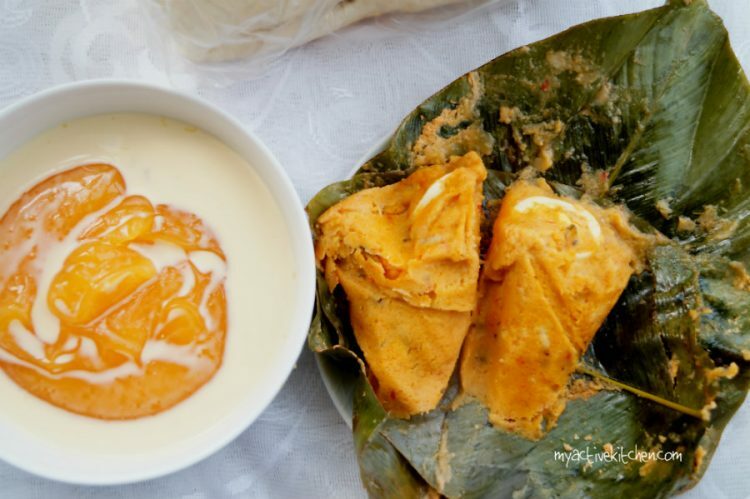 Could you please help me find the moi-moi leaves please? If you can’t get the moon moin leaves, you can use any non poisonous leaves like the melaina leaves or even nylon. It would still come out fine. For nylon you need to tie the mouth after allowing some spaces for expansion of the batter beans.